We are a creative marketing solutions company that has been helping small businesses, dental and medical practices grow and prosper since 1996. We create business success by designing innovative branding, strategic marketing, creative tools, and advertising campaigns that make your business unique, memorable, and growing. Find out how we can help your business dreams and visions become a reality. Establish a strong, memorable brand from the ground up with a unique brand name, logo and color palette. Communicate to the right audience and convert them to loyal customers with the help of our strategic analysis. Stand out from the virtual competition with an attractive, functional website custom-built for your brand. Expand your online presence to reach more potential clients through SEO, social media marketing, online advertising, and more. Our mission is to help our clients achieve success: to grow their client base, increase profits, and build brand awareness. We do this by developing cost-effective, results-driven marketing strategies and tools tailored to meet each client's goals and objectives. We'll drive your conversions and bring people in with successful marketing campaigns that effectively motivate consumers to contact you. We'll help you connect with people to build and maintain relationships by using tools designed to make ongoing communications easy. We will convey your message and brand consistently across all print and digital platforms to increase your industry authority and your consumers' trust. We'll show you how our proven business-building system of cost-effective, strategic marketing strategies will get you back to doing what you do best. We will use your unique brand as the foundation for marketing strategies, creative tools, and marketing campaigns that work seamlessly to grow your business long-term. Are you ready to discover your marketing potential and grow your bottom line? Thanks for your message! We’ll contact you with your free demographics report soon. Thanks for your message! We’ll contact you with your free SEO report soon. Marketing a medical practice or small business requires a deep understanding of a highly specialized industry. That is why we have individual teams focused solely on the needs of your business. Our specialized marketing divisions will make your marketing strategy easier so you can focus on making your business successful. We have been helping dentists fill their chairs since 1996. We know how to build attractive dental brands that stand out from the competition. Our focused cosmetic and aesthetic marketing experts know how to set your cosmetic practice apart from the competition in this ever-changing industry. Let our veterinary marketing experts implement a marketing strategy for your veterinary practice so you can focus on treating the animals that you love. We started out small ourselves. Our small business experts understand how to develop your dream brand and grow it into a successful business. We understand the pressure of running and marketing your medical practice or small business because we started as a small business ourselves. That is why we offer a variety of services to make marketing easy. From startup branding and design to SEO and social media advertising, we can take care of every aspect of marketing for you. Let us do the marketing legwork so you can focus on making your dream business a successful reality. Your practice or small business is unique. We can help you create a brand that is, too. Our complete branding packages will provide you with everything you need to have a strong, cohesive brand. Take your business online and attract more potential customers with an attractive, fully responsive website built from scratch to match your brand. Your website will be unique because we never use templates. Custom-made for your business - Never templated! We'll help you enhance your online footprint and maximize the success of your website by making sure it's being seen by the right people. We have the tools to help your website stand out on search engines and directories. Whether you're growing a new brand or an established practice, our online advertising programs will help you reach real potential customers and gain visibility through a variety of online platforms. Our dedicated social media management team can set up and take care of your social media profiles like Facebook, Twitter, Instagram, YouTube, and LinkedIn so you can focus on running your business. With regular direct mail campaigns, you can advertise your business to your local targeted demographics and reach real potential clients. We'll help you put together a powerful campaign and increase your sales. See what our clients are saying about Affordable Image. We love that our website was designed just for us, working to meet our specific needs. We love the fact that we can make an easy phone call or send a quick email to get an answer to a question, with a very fast response time. And we love the fact that we have established such a good working relationship with not only the sales team but also the design team. We will be working with AI again in the future. They are literally our lifeline for our new patients!! We are nothing but impressed and amazed with the work AI has done for us. We started from ground zero: they designed our logo, our website, our Facebook page, and our letterhead. Our business targets a niche market and we want our client base to understand our very specific mission. 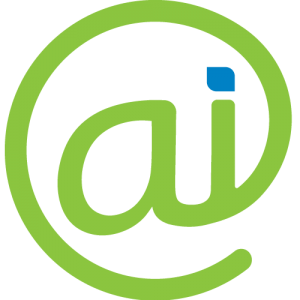 We felt this message was heard loud and clear by AI early on and it was delightful to discuss different aspects of our marketing package with them. The entire team has been excited to work on this project and seem genuinely invested in our clinic. They have provided us with a fantastic start to marketing our new business. Our previous website companies left me hanging out there wondering where the heck they disappeared to in this virtual world we live in... You didn't do that to me and I began to believe in you very quickly. I didn't have to babysit the development of our new website and am consistently surprised at the genius ideas y'all have that come to life literally right before my eyes! Y'all are a very gifted creative bunch, but you have something way more than that. Can't put my finger on it, but I don't ever want to be without it. ALL of you are phenomenal." See how we have impacted our clients' image. We're ready to work with you to implement the right marketing strategies to help your cosmetic, dental, or veterinary practice or small business thrive. Whether it's spreading awareness of an existing brand or developing an entirely new one, we have the tools to help you succeed. Contact us today to start growing your medical practice or small business!